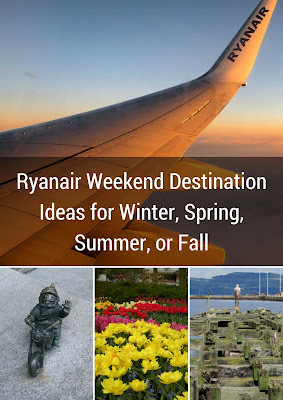 We are always on the lookout for Ryanair weekend destination ideas. One of the advantages of living in Dublin is that there is an abundance of cheap places in Europe to fly to. 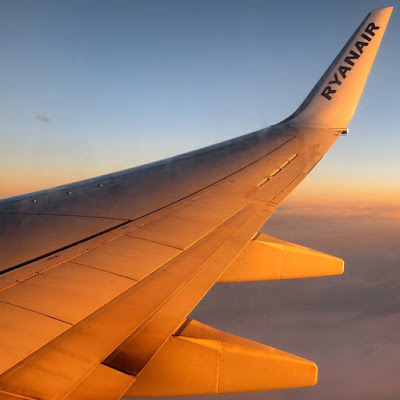 Airports like London Stansted and London Gatwick and Brussels Charleroi are also low cost hubs for Ryanair and offer flights to all popular city break destinations (not to mention some places you may never have heard of before). Read on to find out my picks for the top European city break destinations for any season of the year. It doesn’t matter if you’re flying in Winter, Spring, Summer, or Autumn; I’ve got you covered with ideas for places to visit in Europe for a weekend. Sit reading a newspaper on a pole while eating cake and sipping a coffee (or something stronger) in the classic cafes that dot the city. There is something so magical about dwarf hunting while bundling up in layers of coats and scarfs. Yes, it's cold in Poland in winter but that's part of the experience. Decamp to the Canary Islands for a bit of sunshine and warmth. Tenerife offers something for everyone including the obligatory beaches plus a majestic volcano and beautiful parks. The (London)Derry jazz festival is the perfect excuse to visit Northern Ireland. There are tons of free gigs and you can also take the opportunity while you're there to learn more about the history of The Troubles in the region on both sides of the fence. Flying to Holland during tulip season for a Ryanair weekend is a must despite the larger number of tourists. From Amsterdam, you can easily access the Keukenhof or rent bikes to ride through less crowded tulip fields. White asparagus is an added bonus at this time of year. You'll notice a bit of a theme here. Festivals are a great excuse to visit a destination and Valencia in Spain is no exception. Las Fallas showcases hundreds of larger-than-life papier mache creations all around town that are then burned in a blaze of glory on the last night of the festival. Sit in the sun and sip from a giant stein of beer and nosh on a pretzel sized to match while soaking up the sun in the Englischer Garten in Munich. Once again, festivals rule the day and no one does festivals better than Edinburgh. We go every year for the Fringe in August where there are literally thousands of performances on offer ranging from comedy, music, experimental theatre and more. The Cliffs of Moher are one of few places in the world where you can spot puffins without having to board a boat. 'nuff said. Famously overrun by tourists, this picturesque walled city in Croatia starts to calm down a bit in October. Head to Dubrovnik on one of the last Ryanair flights of the season where you'll enjoy lovely weather and thinner crowds. Sip a glass of port as old as you are and marvel at the setting sun. In Fall, you can even take a sunset cruise on the Douro and make it back in time for supper along the river. Italy's famous city of canals is sinking so you'd better go while you still can. This is another place that is famously overrun by tourists but is worth visiting nonetheless. We've visited twice in late November and enjoyed nice (albeit chilly) weather and fewer people to elbow our way past to explore the town. Shoulder season for the win! If you are new to travel with low-cost carriers like Ryanair, there are a few things you should be aware of to make sure that your European city break goes smoothly. Book at least a couple months in advance for the best deals. Prices go up at the last minute and there is no such thing as a last minute fare with Ryanair. You’ll pay for everything; whether it’s a seat assignment, priority boarding, or a checked bag, be prepared to shell out some cash. Print your boarding pass out before you get to the airport. Otherwise, you’ll have to pay to have your boarding documents reprinted. If you are flying on a non-European Union passport, make sure you stop at Ryanair’s check-in desk even if you are not checking bags to get your visa check stamp. You’ll be turned away at the gate without it. As of November 1, 2017, if you haven’t paid for Priority Boarding, Plus, Flexi Plus, or Family Plus class of service, you’ll only be able to bring one cabin bag on board. All wheelie bags that could be carried on previously will go into the hold. What other places do you recommend for a Ryanair weekend city break in Europe and what's the best time to go in your opinion? Leave a comment below with your suggestions. 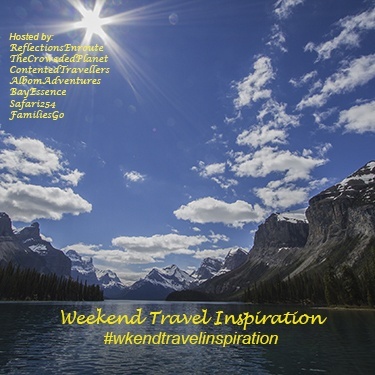 Ryanair weekend destination ideas in Europe for winter, spring, summer, and autumn.